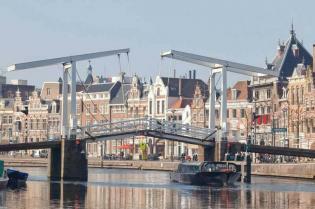 Amsterdam is also called, by some, the smallest metropolis of Europe. It boasts many unique museums, as well as enticing shopping, and the UNESCO-listed canals in the heart of city certainly make a visit to Amsterdam a fine Holland highlight. Visit the famous flower market in the center of the capital and discover the Zaanse Schans open-air museum, including windmills, a traditional cheese maker, a clog maker, and a traditional Dutch village. 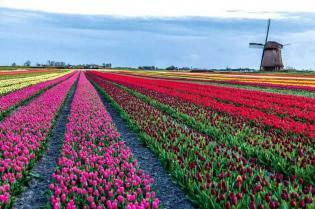 Other highlights of this trip are the historic city of Haarlem, the world famous flower park Keukenhof, near Lisse. 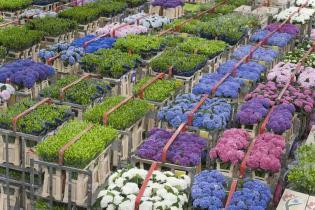 Optional is a visit to the world’s largest flower auction* in Aalsmeer. 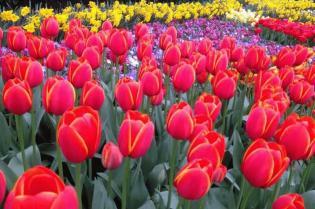 *: The Aalsmeer flower auction is closed during weekends and on public holidays. This is an optional visit. Please be aware that on certain departure dates with the Magnifique (March 28) and the Magnifique III (March 27 and April 19), a visit to the flower auction is not possible.